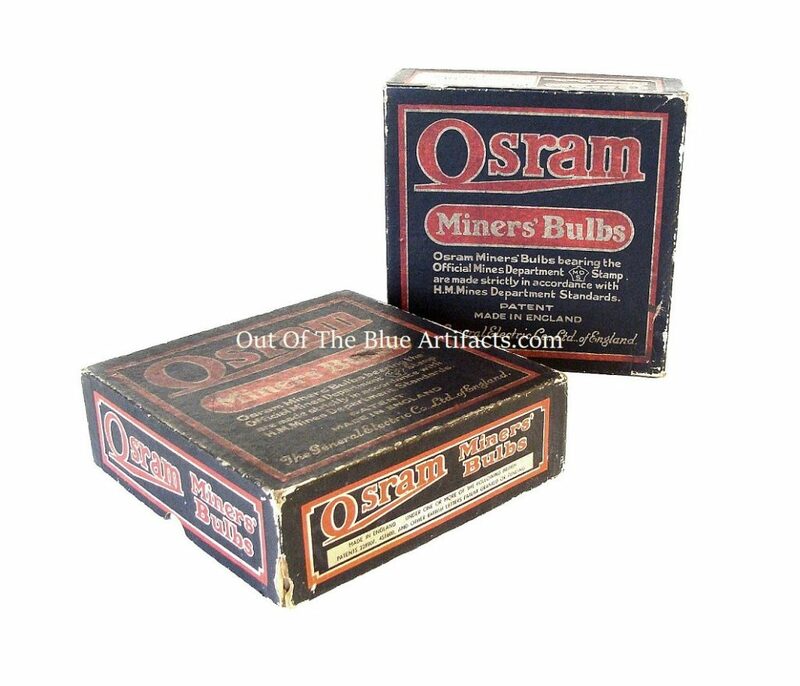 Osram Miners Bulbs Boxes. 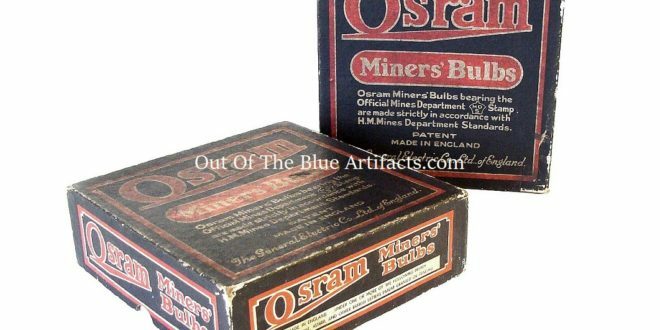 Made by the Osram General Electricity Company Ltd. H M Mines Department Standards. Box contained 25 pearl 4 volts – 1 amp gas filled Krypton bulbs. Size 7″ x 7″ x 2″ inches. These were stocked in the Lamproom in all collieries for spares and repairs to the miners cap lamps.